Much of the historiography on the age of democratic revolutions has seemed to come to a halt until recent years. Historians of this period have tried to develop new explanatory paradigms but there are few that have had a lasting impact. David A. Bell and Yair Mintzker seek to break through the narrow views of this period with research that reaches beyond the traditional ge Much of the historiography on the age of democratic revolutions has seemed to come to a halt until recent years. Historians of this period have tried to develop new explanatory paradigms but there are few that have had a lasting impact. David A. Bell and Yair Mintzker seek to break through the narrow views of this period with research that reaches beyond the traditional geographical and chronological boundaries of the subject. 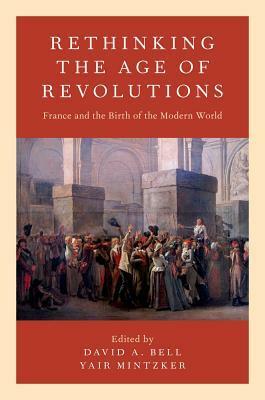 Rethinking the Age of Revolutions brings together some of the most exciting and important research now being done on the French Revolutionary era, by prominent historians from North America and France. Adopting a variety of approaches, and tackling a wide variety of subjects, such as natural rights in the early modern world, the birth of celebrity culture and the phenomenon of modern political charisma, among others, this collection shows the continuing vitality and importance of the field. This is an important book not only for specialists, but for anyone interested in the origins of some of the most important issues in the politics and culture of the modern West.